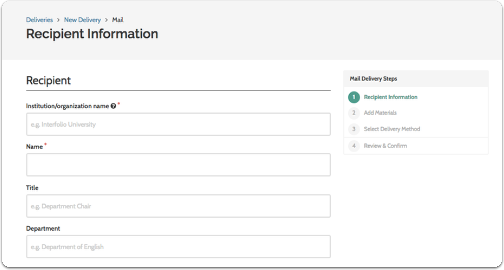 With a Dossier Deliver subscription you can choose to have printed copies of the materials in your Dossier delivered to a street address or PO Box via United States Postal Service or Fedex*. *Please note that Fedex does not deliver to PO Boxes. Currently, you can choose between the many different delivery methods for printed materials, read more here. Only paid Dossier Deliver accounts can be used to deliver materials. See here for more information on upgrading to Dossier Deliver. 1. Enter the "Recipient information"
Be sure to enter the complete name of the recipient's institution/organization, your recipient's name, title, and department. 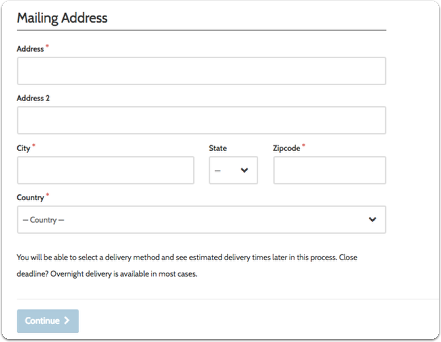 You will be able to choose a delivery method and see estimated delivery times later in the process. 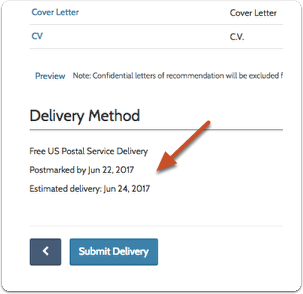 If you have a close deadline, overnight delivery is available in most cases! 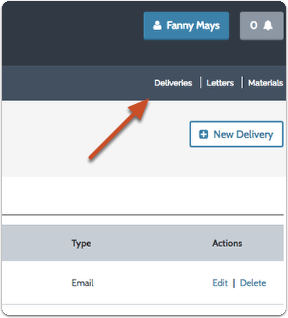 Add materials to the delivery from you computer or from you Dossier account. Any materials added will be sent with your delivery, but will also be added to the "Materials" section of your Dossier, where they will be available to send to other destinations as well! Note that if you have created collections of materials, you can open the "Collections" tab and add materials from your saved collections as well. 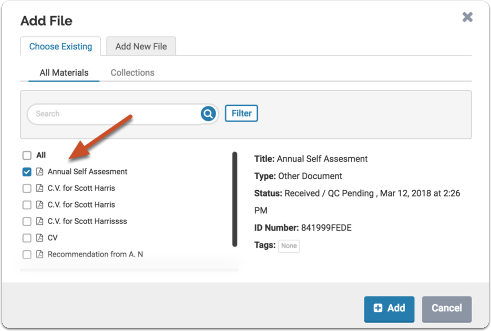 See here for more information on how to Create Collections of Your Materials . 2.1.4. 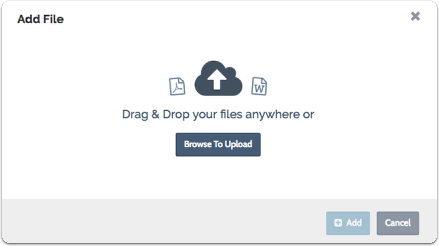 After uploading a new file, select the type of material you are uploading, and click "Add"
If the correct material type does not appear as an option in the drop down menu, select "Other Document" from the drop down menu. 3.1.1. 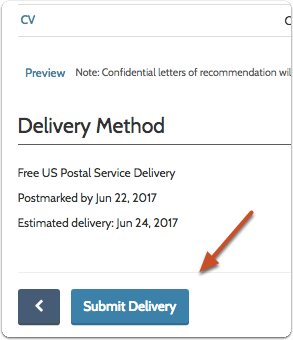 Select the delivery method you would like to use and click "Continue"
International deliveries must choose US Postal Service Delivery. 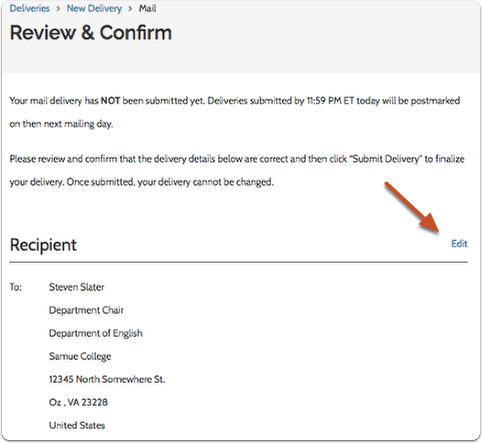 Make sure this information is correct because once submitted, your delivery cannot be changed. Click "Edit" if you need to make changes, as shown below. 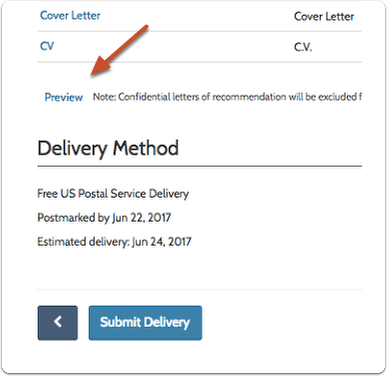 Note that confidential letters will be excluded from the preview, but will be sent with the delivery. Deliveries submitted after 11:59 PM EST are postmarked the following day. 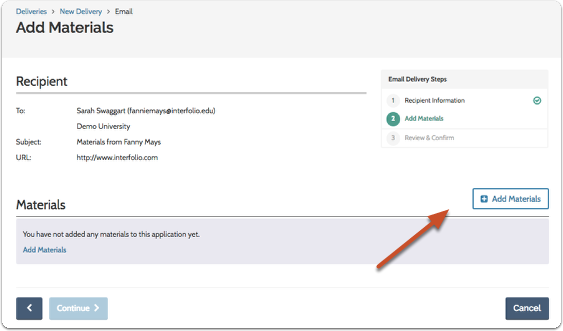 From the "Sent Deliveries" page, you can search for recipients of sent deliveries, and sort your deliveries by status and type. Note that you can cancel deliveries from this screen as well. See here for more information on delivery statuses. Look for the deliveries tab in the upper right navigation menu.